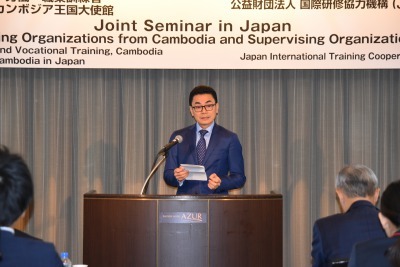 JITCO held a joint seminar with Cambodian sending organizations and supervising organizations on November 13th, 2018 at Hotel Azur Takeshiba in Tokyo. 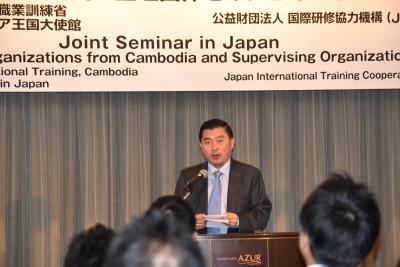 In attendance from the Cambodian side were the Director General of Cambodian General Department of Labour, Ministry of Labour and Vocational Training (MLVT), Cambodian Ambassador Mr. Ung Rachana, and 70 people from 27 sending organizations, while from Japan there were 51 people from 40 organizations who attended. 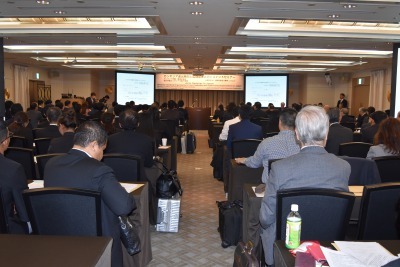 The morning session began with opening remarks from JITCO President Suzuki, followed by remarks from Director General, MLVT, Mr. Seng Sakda and Ambassador Mr. Ung Rachana. Then JITCO officials explained the current status of Cambodian technical intern trainees and JITCO’s support service. In the speech by Cambodian side, Labour counsellor, Royal Embassy of Cambodia in Japan, Mr. Taing Phengrithy and Executive Director of Association of Cambodian Recruitment Agencies, Mr. Pin Vireak gave an explanation about the present situation and issues of Cambodian technical intern trainees and the future policy on sending technical intern trainees from Cambodia. 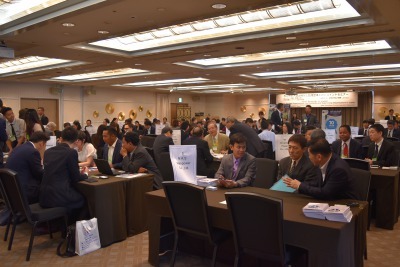 In the afternoon “business matching” session, sending organizations and supervising organizations conducted one-on-one meetings, and lively meetings took place in the sending organizations’ booths.